A new exhibition which tackles the concept of space, curated by Sandra Erbacher and featuring work by the wonderful Jess Littlewood.. The Contemporary London hosts a new exhibition at the Great Western Studios. 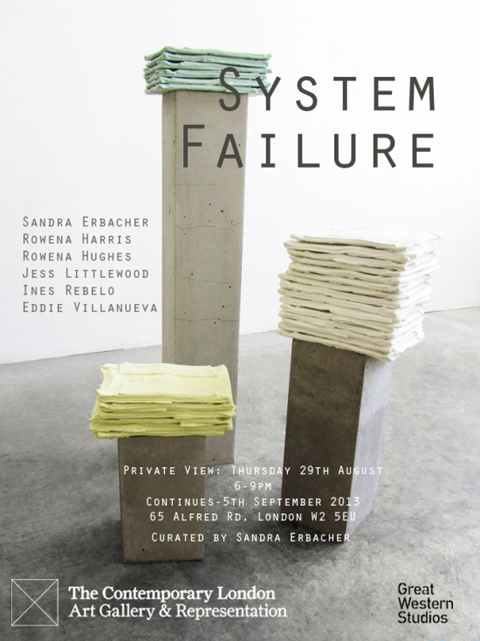 System Failure features the work of artists Sandra Erbacher, Rowena Harris, Jess Littlewood, Rowena Hughes, Ines Rebelo and Eddie Villanueva, all of whom interpret the concept of space as an ever changing constellation through sculpture, print and installation. Jess Littlewood, When The Time Came II. 'While Rowena Harris’ work investigates the intersection between virtual space and the material world, Ines Rebelo traces outer space onto a wall in the exhibition space traversed by the viewer. 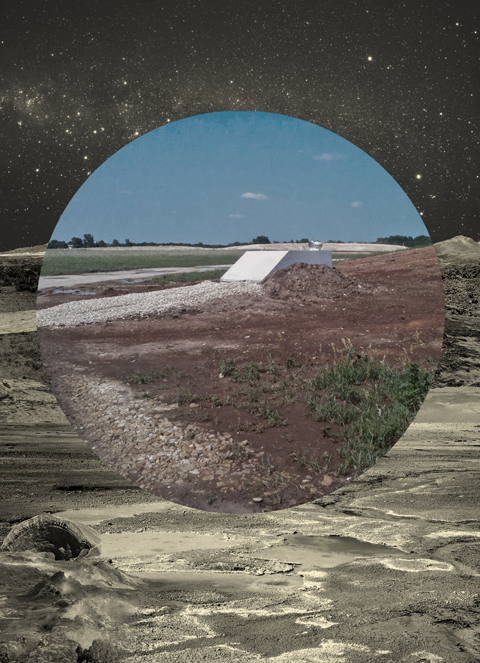 Rowena Hughes employs geometry and science in combination with found imagery to complicate our sense of spatial logic, whereas Sandra Erbacher examines the intersection of space with time as an organizing principle. At the centre of Eddie Villanueva’s practice, is an understanding of architectural space as an archaeological site, as a collection of surface layers and histories. 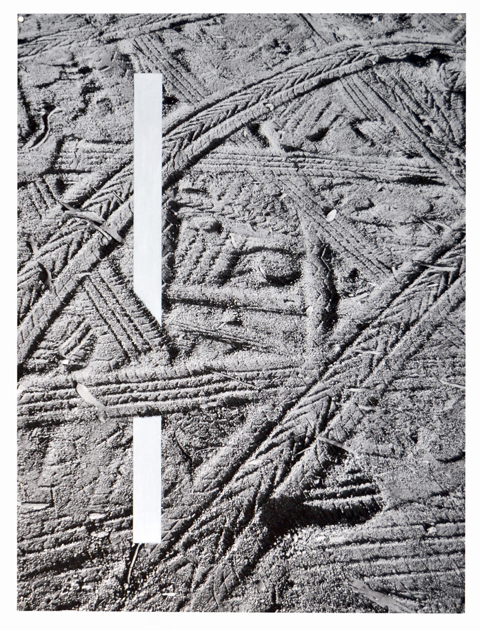 Formally, the featured works play with pattern, repetition, as well as contingency. Their arrangement in the context of this exhibition, however, ultimately de-stabilizes any linear structure or singular meaning and instead allows for multiple spatial narratives by activating the in-between. Thus, the dialogue opened up by these works equals a ‘system failure’, revealing space as an open, organic, and heterogeneous formation. 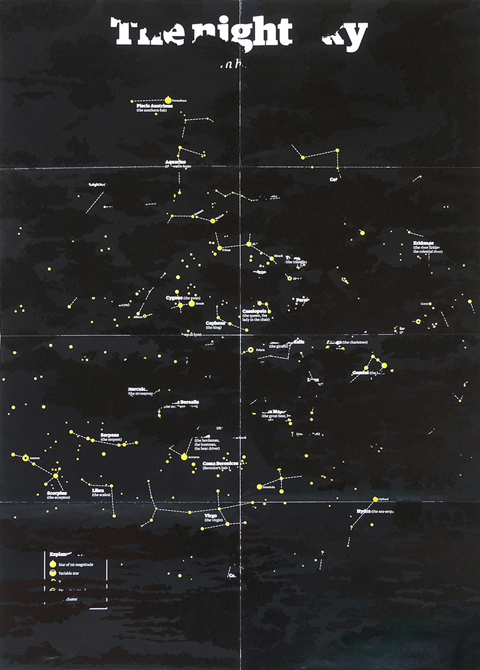 Ines Rebelo, The Night Sky. Rowena Hughes, found drawing & column. Private View: Thursday 29th August, 6-9pm, continues – 5th September (Weekdays 9-5pm and weekends by appointment). Find the event on facebook here.